“Sewage Sludge” refers to the solids separated during the treatment of municipal wastewater. The definition includes domestic septage. “Biosolids” refers to treated sewage sludge that meets the EPA pollutant and pathogen requirements for land application and surface disposal. See EPA’s biosolids program at the national level for more general information and documents. The most common treatment of sewage sludge in Region 9 is by anaerobic digestion to “Class B” pathogen reduction levels. Most methane generated during the digestion process is used for co-generation or heating. About 1/3 of the biosolids receive further treatment to Class A pathogen reduction levels, by means such as composting, solar air-drying, alkali treatment, thermophilic digestion, pasteurization, or heat drying. Many small treatment plants use methods of treatment other than anaerobic digestion, such as air drying, aerobic digestion, or lime treatment. Under certain conditions, these processes meet Class B pathogen reduction. Over 95% of the sewage sludge in Region 9 meets EPA's most stringent pollutant concentration limits for land application and surface disposal (see Biosolids Quality spreadsheet (XLS) (67K) for pollutant levels of the major biosolids producers in Region 9). Municipal treatment plants control what pollutants can be discharged to their system through the pretreatment programs required under 40 CFR 403. Most biosolids in Region 9 are used for growing agricultural non-food crops, for landscaping, as alternative daily cover or final cover at landfills, or are landfilled. A very small amount is incinerated. There are several new or proposed projects for heat drying and use as fuel. As of December 21, 2016, major POTWs (POTWs with a design influent flow of at least 1 mgd) nationwide must fine annual biosolids reports through the EPA NeT e-reporting tool. POTWs must register for a Central Data Exchange (CDX) account at cdx.epa.gov, and add the BIOSOLIDS: Net – EPA Biosolids Program Service. A users guide for the biosolids e-reporting tool is available at epanet.zendesk.com. Questions on reporting may be directed to NPDESereporting@epa.gov, or (877) 227-8965. All POTWs in California, Nevada, Hawaii, Tribal Nations in Region 9, and Pacific Island Territories with NPDES permits must file a "2S" form with EPA at the time they submit their NPDES permit renewal application with the state or EPA (Arizona has received authorization for EPA's biosolids program. Please contact Lauren Fondahl (fondahl.lauren@epa.gov), Region 9 Biosolids Coordinator, for questions regarding filing of 2S forms or other questions on 40 CFR 503. Arizona Dept. of Environmental Quality has been authorized to administer EPA’s biosolids program in Arizona. California’s State Water Resources Control Board adopted its General Order for land application of biosolids in July 2004. Contact your local Regional Water Quality Control Board for information on whether your project will fall under this. 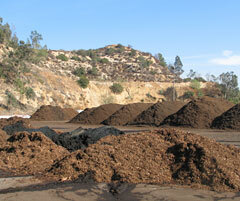 The CalRecycle LEA’s regulate compost operations. Hawaii plans to seek authorization of EPA’s program in the future. Hawaii State Department of Health places biosolids conditions in NPDES permits and tracks compliance through its wastewater branch. Nevada's Department of Conservation and Natural Resources, Division of Environmental Protection places conditions in permits issued to wastewater treatment plants, land appliers, and composters.